Share your photos on Instagram with the hashtags #rollerskatedress and #oliverands. I just loved this dress! I made 4 very quickly for 2 of my granddaughters. Comfortable dress! Lined the dress with gingham, almost made the dress reversible. I loved sewing this dress, it was so beginner friendly ( even with marking the elastic casing lol). I made a muslin without the elastic for a comfortable house dress for my twins and they loved it. I just finished one with the elastic and color blocking and both girls loved it and pouted when they realized it was not theirs. The instructions clear and properly thought out, the best thing I loved was the economical use of fabric. I see more of these "rolling: our way. I've only completed a handful of sewing projects, definitely a beginner. The instructions and illustrations were incredibly clear and easy to follow. There was a real sense of accomplishment when I finished this. The dress was beautifully constructed (fully lined!!) and just adorable. So far I've made two and I'm really excited to sew a few more! I have just cut this dress out and am about to start sewing. 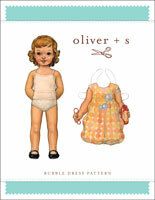 If it's like the other Oliver+s patterns I do not anticipate any problems. 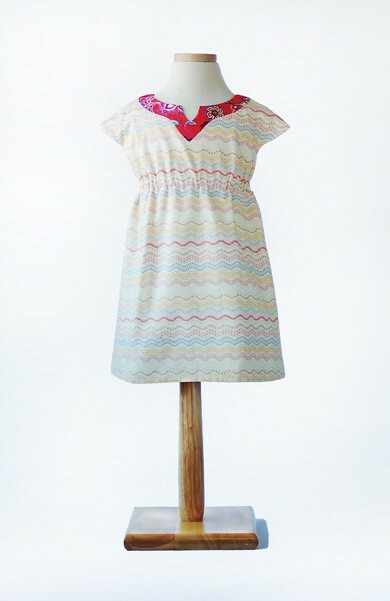 Vestido niña: Roller skate dress de Oliver & S.
Love this simple, quick-sew dress! I just bought this pattern in the larger size after loving the smaller size. 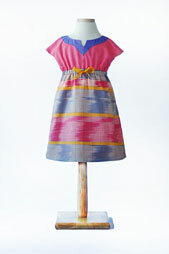 Great basic play dress with all sorts of embellishment possibilities. I made this dress in 24 month size using quilting cotton and cotton batiste for the lining. This was the first time I had done a lining and an elastic casing. Both steps were surprisingly simple to do. I did get frustrated at one point but it was due to the cut edges of the batiste fraying--it's such a shear fabric. The directions are very clear and demystified the whole process. 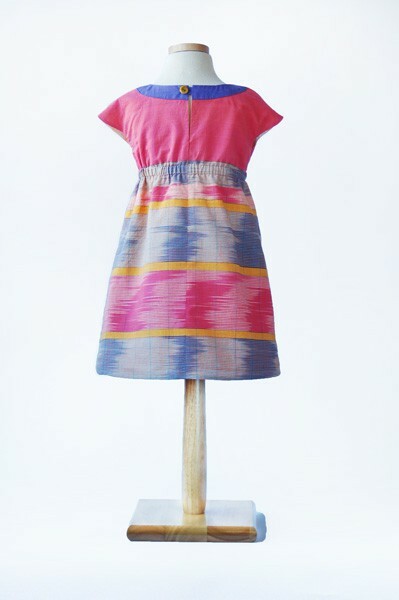 For anyone interested in experimenting with garment sewing, I'd say this is a good pattern to try. 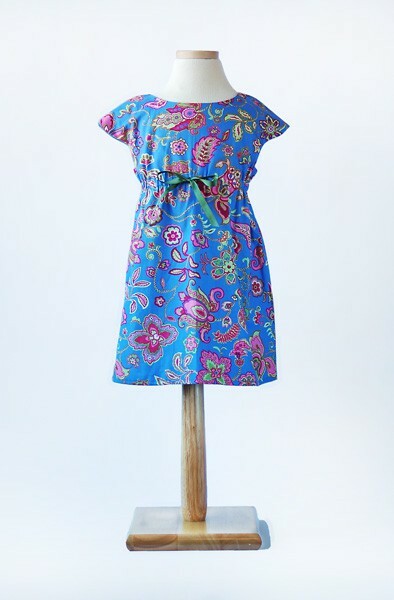 An easy-going dress for my active 4 year old and fun to sew thanks to thoughtful instructions and clever construction. This is a perfect canvas for all kinds of customization. This time around, I embroidered a bike parade on the bottom and added in-seam pockets. Next time, who knows? But there will certainly be a next time. How very satisfying to sew with your patterns! Thank you for clear directions (even I couldn't get lost!) and for the styling that captures my heart. Great job, and I look forward to continuing to create adorable clothing. 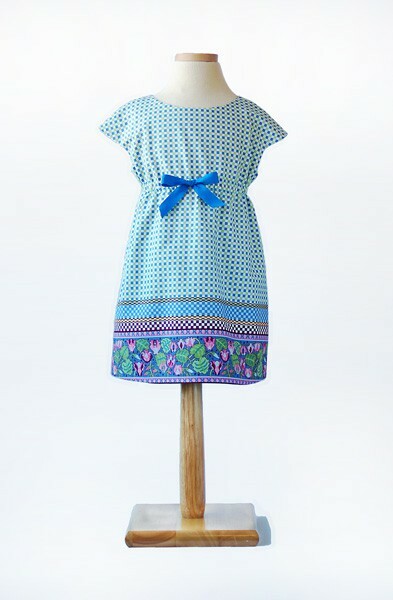 My daughter just loves the dresses I've made using this pattern. They fit her very well, and have lovely details like the variations for the neckline facing and the sweet empire waist and cap sleeves. It's a lovely shape and has a great finish with the full lining. I appreciate the button loop, which looks much nicer than a regular buttonhole. I love these patterns and appreciate the degree of creativity and solid craftsmanship which goes into making a pattern that works and looks great - without too much fiddly fuss! 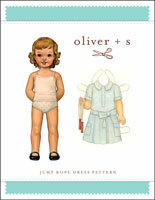 I am a fan of Oliver & S The patterns are easy to download and assemble, instructions are clear and easy to follow. The result is great and looks professional. The dress looks very professional. This is a well written pattern with detailed instructions. My great niece wants to sew a dress for herself and this is a great one for her to try since it is explained so well. I love how the dress I sewed for her little sister came out and it fits her so comfortably. It was so quick, too. I've become areal fan of Oliver + s. This Patern is very simple and easy to follow. The result is great and looks professional. The project is finished in a day. Love it! I can't tell you how much I love this design. It's simple, easy to follow and the result is so neat. A pretty everyday dress a 5yr old can play as freely as she can. I made this dress in one morning... I can see myself making more. Love it! In the first printing of the paper version of this pattern, the back-envelope illustration for View A, Back incorrectly showed View B, Back. Refer to the Details tab on this page to see the correct illustration for View A, Back. This error has been fixed in the digital version of the pattern that is currently available. 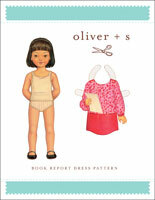 Discussion on the digital roller skate dress + tunic sewing pattern from the Oliver + S Discussion Forums. Find and share more photos on Instagram using the hashtags #rollerskatedress and #oliverands.